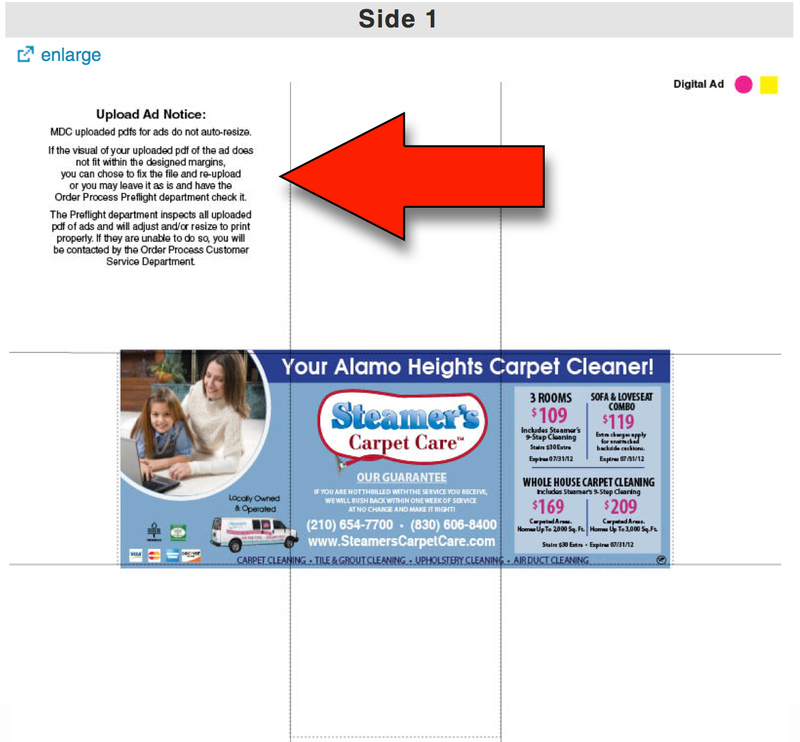 Valpak requires that complete ad layouts are submitted as a Press Ready PDF file. All RGB, PMS, and custom SPOT colors must be converted to CMYK in your page layout program prior to the creation of your PDF! 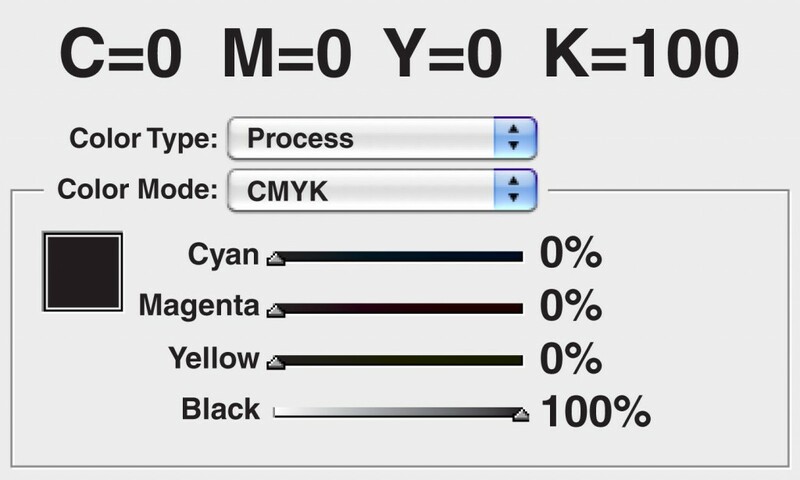 Valpak will attempt to convert any RGB, PMS and SPOT colors to CMYK or Grayscale whenever possible but cannot guarantee quality or color accuracy. These conversions will be done automatically. Do not embed color profiles into any files submitted as it may cause your file not to print properly or at all. It is the responsibility of the franchise to submit ads and artwork following Valpak submission guidelines. Your PDF should not include any rasterized text or line art. File names should be limited to 30 characters in length using only alpha and numeric characters, dashes, periods and underscores. All text or line art should be created using fonts or in vector format. Fonts: must be embedded in your PDF. If you create your PDF following the Valpak PDF settings provided on this page, fonts will be properly embedded. If your PDF includes any rasterized/bitmapped text or line art that you wish to print at 450 dpi or higher, then it is your responsibility to make further adjustments to the Image Sampling/Compression Settings. Click Here. The only color that will overprint on Valpak’s press is C,M,Y,K values equal to 0,0,0,100. Intentionally set overprint attributes for a fill or stroke color other than black will be discarded. 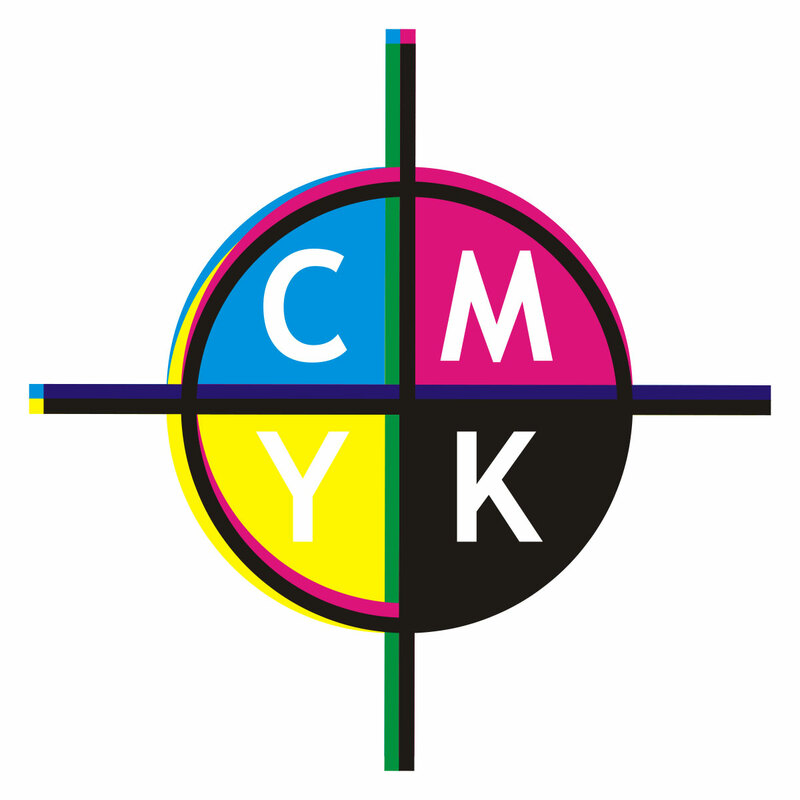 A full color layout is eventually broken down and separated into four process inks – cyan, magenta, yellow, and black (C,M,Y,K). Each of these 4 process inks is assigned to a separate plate that is mounted on the press to transfer ink to the paper. Each color (plate) that is mounted on press must be properly aligned (registered) with the other 3 process colors (plates). The images on all 4 plates print on top of one another to produce a composite full color printed piece. If the plates are not in proper registration, a shifting of ink and gaps will be noticeable on the final piece. This may result in objects or text becoming illegible, disappearing, or having a “ghost” effect. IMPORTANT: Be careful when using black to darken colors, it could end up looking “muddy” when printed. Valpak is not responsible for the ink colors used on supplied Press Ready ads. 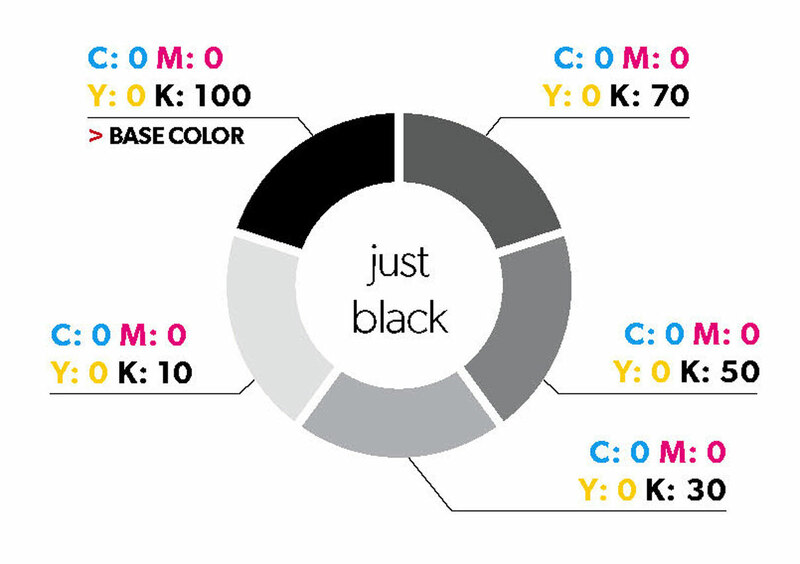 All small text below 12 points must be set using just black or a screen percentage of black to prevent any potential registration issues on press. Valpak’s printing process consists of high-speed off-set printing and the risk is elevated when attempting to perfectly print reverse or knock-out type font that is ¼ of a printers point (.003=smaller than one dot). Valpak’s Goss Sunday 4000 presses have a tolerance of 2 dots. Valpak aims to repeatedly produce a high-quality product and thus have put processes, guidelines and requirements in place to achieve these objectives. If interested, view this video of our printing facility. IMPORTANT: Valpak is not responsible for offer back-up issues on Press Ready PDFs. Contents of this post: Click a subject below to advance to that section. • Valpak Policy: Replacing existing files with newly submitted PDFs. • Data Management For Ads: How long does Valpak store your PDF. • Thin white lines appearing on my PDF, why? • The Artist that builds my press ready PDFs continues to save them slightly smaller/larger than Valpak’s template specification sizes. What should I do? 300 dpi or higher for standard photo imagery. 600 dpi (minimum) / 2400 dpi (maximum) for images that contain text or line art. A press ready PDF containing images that lack adequate effective resolution may* result in Order Process notifying your franchise office. Ads that contain low-resolution rasterized text may result in undesirable legibility. We recommend that Press Ready Ads be built using a vector based page layout program, like Adobe InDesign. We DO NOT recommend using image editing programs like Photoshop for typesetting. However, if using Photoshop for typesetting, the resolution must be at least 600 dpi for images that contain text or line art if you intend the text to print without looking bitmapped or pixelated. *It is not required for Order Process to notify your franchise office when (low resolution images or low-resolution rasterized text) are detected within your press ready ad. Notification from Order Process should be viewed as a courtesy in which they feel the quality may compromise the integrity of your ad. Press Ready Ads with images that do not contain the required effective resolution will not be eligible for credit. DO NOT use the Apple MAC standard print feature to create your PDFs. Using this process converts the document to a page-based virtual display to create a PDF intermediate, which is then converted by the printer driver into the data required by the print engine. As this intercepts the normal printing process, it uses the built-in OSX PDF engine (known as “Quartz”) to create the PDF. Once Quartz creates the PDF, one would assume that everything that is possible within a PDF file is also supported by Quartz. This is not the case. Quartz only uses some of the features of PDF, and it is only based on a subset of the full PDF specs. This type of PDF may not output on a commercial 4-color press correctly. 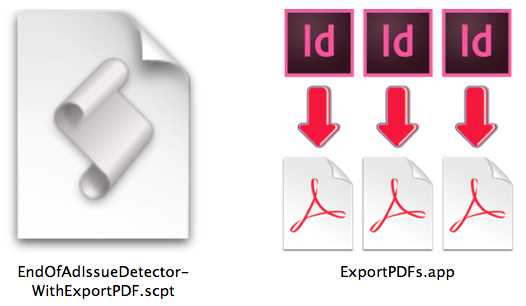 The PDF settings listed on this page are not applicable if you use InDesign and the ExportPDFs.app to create your PDFs, or use the export PDF functionality in InDesign when prompted after executing the End-Of-Ad-IssueDetector.scpt. Both scripts are HIGHLY RECOMMENDED! If you are not using InDesign to create your layout, please use the Preset setting [PDF/X–1a:2001] when creating your PDF and adjust the Compatibility and Compression settings as mentioned in the above InDesign instructions. If a new press ready pdf is submitted for a referenced ad, or at proof stage and no changes are requested, Valpak will use both sides of the new uploaded file. Replacing your referenced ad, or proof ad. When a new press ready pdf is submitted for a referenced ad, or at proof stage, with a change request, Valpak will only use the new digital file that changes are requested for. (i.e. if a change is requested for side 1 only, and the new file submitted contains a PDF/Graphics for both sides, only the new side one file will be used. If your intention is for both sides of a new press ready pdf is to be used when requesting changes to only one side of an ad, an instruction must be included to use both sides of the new file upload. Data Management For Ads: How long does Valpak store your PDF? All Press Ready ads are stored on Valpak’s graphics database for one year. This allows you to reference your previously submitted ads for future mailings as a repeat with expiration date change only. However, if the previously submitted file can’t be edited in order to make the expiration date change, it may result in a new file request or your ad being rebuilt. Any other changes requested may (at Valpak’s discretion) result in a new file request or your ad being rebuilt. In the event an ad is rebuilt, font(s), color(s), and other types of substitutions may be necessary and Valpak cannot guarantee quality. Thin white lines appearing on my PDF, why? The Artist that builds my press ready PDFs continues to save them slightly smaller/larger than Valpak’s template specification sizes. What should I do? An instruction like the one above may be misinterpreted causing your PDF to get rebuilt by the Order Process Graphics Department. In some cases this may result in slightly altering the look of your ad due to the replacement of fonts, modified artwork files, etc. You are better off letting the Order Process Preflight Department do what they do best and determine the best approach to take when and if your PDF is over/under-sized. Thin White Lines On PDF – Will they Print?